Christian Andreas Schwarz (born March 27, 1960) is a German author, lecturer and researcher. 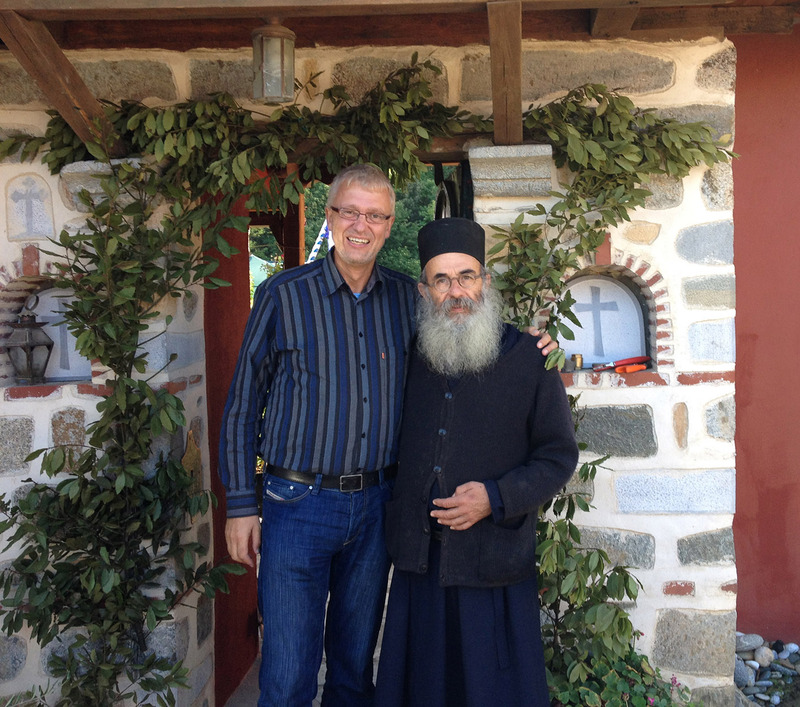 He is the founder and president of Natural Church Development (NCD International). His books have been published in 40 languages, making Schwarz one of the most frequently translated German authors in the area of Christian books. Schwarz’ early years were strongly shaped by the ministry of his father, Fritz Schwarz, who was a Lutheran church superintendent between 1967 to his death in 1985. In the late 1970s, Fritz Schwarz launched a church growth program in his church district of Herne (Germany), which influenced many Lutheran churches throughout Germany (Schwarz 1979). Christian A. Schwarz co-authored together with his father three of the initial books describing the values, strategy, and theology of that approach (Schwarz/Schwarz 1981, Schwarz/Schwarz 1982, Schwarz/Schwarz 1984). Between 1979 and 1986 he studied theology in Bochum, Bethel, Wuppertal and Mainz (Germany) and worked simultaneously as journalist for various magazines and newspapers. In this time period he wrote countless lyrics for Christian songs, which were recorded on LPs and later CDs. The CD that became most popular was based on his attempt to communicate the message of Martin Luther King in a lyrical way, which was set to music by the composer Siegfried Fietz and sung by Jan Vering together with King’s widow, Coretta Scott-King. In one of his German books (Schwarz 1995, pages 128-129) Schwarz speaks about an incurable disease that has been diagnosed at his 18th birthday, which had a strong influence on his priorities, plans, and intensity of activities in the years to follow. He reports about an unexpected healing eight years after the diagnosis which resulted in the decision to "redesign his life" and invest the rest of his life time into the cause of helping churches get healthy (Schwarz 2005, pages 46-47). 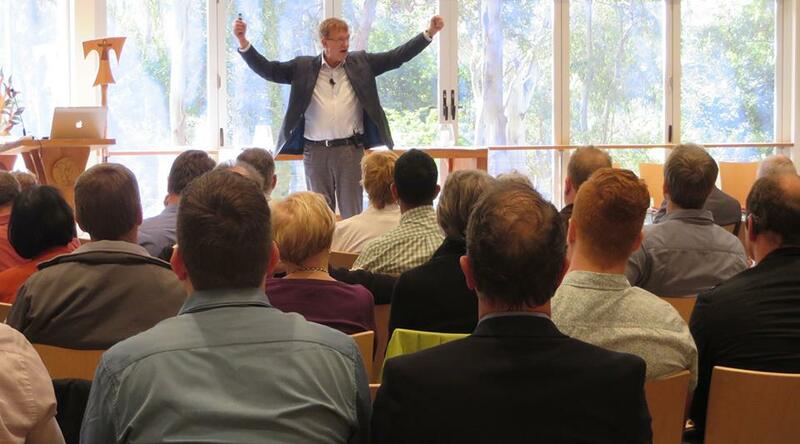 Internationally, Christian A. Schwarz is best known as founder and leader of Natural Church Development. Two of the early books of Christian A. Schwarz that he co-authored with his father, Fritz Schwarz, dealt with the societal and political impact of discipleship. The first one, Program of a New Life Style (Schwarz/Schwarz 1981), targeted topics such as ecology, global social justice, ministry for the poor, and a simple personal life style, while the second one, The Lie of Peace (Schwarz/Schwarz 1982), addressed topics like armament, non-violent resistance, and peace. In 1984, Fritz and Christian A. Schwarz co-authored their Theology of Church Development (Schwarz/Schwarz 1984), which presented the theological paradigm behind their practical work. At the time of publishing that book, there had not been any interaction with the American church growth movement yet. In 1985 Schwarz met for the first time leaders of the American church growth movement in the context of his first study trip to the United States (among others, Donald A. McGavran, C. Peter Wagner, and Win Arn). In 1986 Schwarz spent a sabbatical in the United States, studying at Fuller Theological Seminary, in the attempt to learn from the American church growth movement (Schwarz 1998b, page 7). Over a number of years, Schwarz developed a relationship with McGavran in which they explored the elements that were potentially missing in the predominant church growth paradigm of the day. In 1989, he founded the Institute for Church Development, which later on was renamed Institute for Natural Church Development. The Institute performed initial research projects in German-speaking countries that led to hypotheses that laid the foundations for the research theses that later on enabled the formation of Natural Church Development (Schwarz 1991). 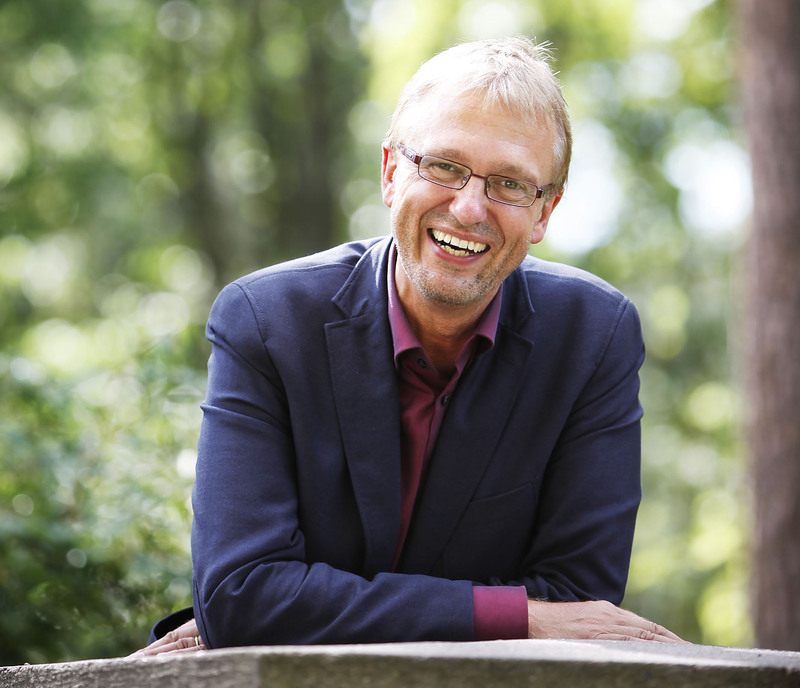 In 1994, the organizational psychologist Christoph Schalk joined the Institute’s team. Under his supervision, 1000 churches in 32 countries were researched according to a revised methodology, applying strict standards in terms of objectivity, validity, and reliability (Schwarz/Schalk 1998a, pages 229-234). 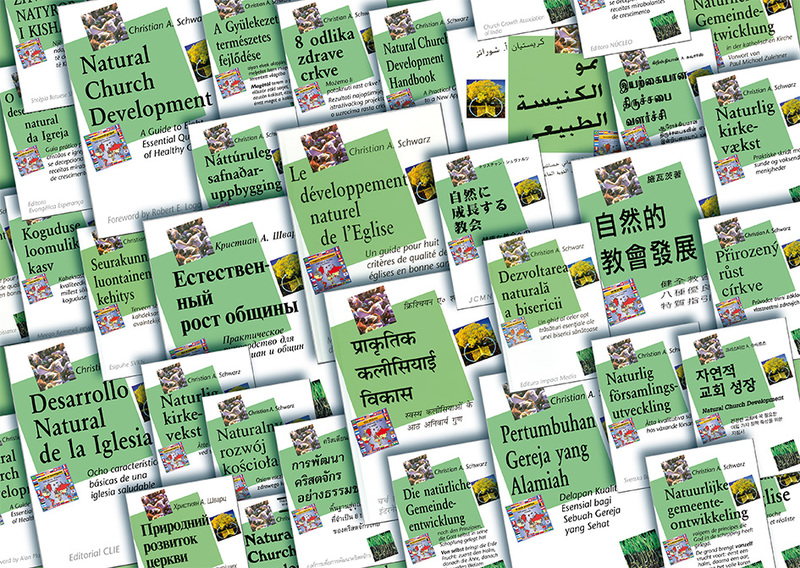 In October of 1996, the first edition of the book Natural Church Development (Schwarz 2006b) was published simultaneously in ten different languages. This was the first time that the term Natural Church Development (NCD) was used. • process-orientation (Schwarz 2006b, pages 108-125). The major strategic building blocks of NCD are the eight quality characteristics of healthy churches (Schwarz 2006b, pages 18-50), the six growth forces (Schwarz 2005, pages 89-103), the minimum-factor strategy (Schwarz 2006b, pages 51-64), and the Trinitarian Compass (Schwarz 2005, pages 45-71). A central part of NCD is a diagnostic tool called the NCD Church Survey. This resource enables churches to precisely asses their present quality and to identify the area of greatest need ("minimum factor"). As a second step, the church conducting a survey is supported by specifically designed tools and coaching to increase its quality in the respective area. After a given time, the church conducts a repeat-profile to monitor the actual progress. According to NCD theory, this investment in the quality or health of the church is the factor that has the strongest correlation to numerical growth (Schwarz 2006b, pages 40-47). The Institute that Schwarz founded in 1989 is now generally referred to as NCD International. NCD International functions as a network that is connected to individual leaders and organizations that are committed to support Christians in their area of responsibility. The ministry is directed by Christian A. Schwarz, Christoph Schalk, and Adam Johnstone. Some of the activities (such as publishing, web development, test construction, etc.) have been delegated to companies specifically focused on that topic (such as NCD Media, NCD International GmbH & Co KG, Journey to Life Ltd.). All of the tools that he has developed or contributed to since 1996 are based on empirical research that is being conducted at an international level. The huge data base that has become available to the Institute through the ministry over the past twenty years (by now, 70,000 churches have done an NCD Church Survey, covering 84 countries and 112 denominations) has enabled the evaluation of many theological stereotypes about the Christian life in an empirical light. Schwarz’ books speak about the insights that emerged from this approach. A second major area of research are the various eTests developed by the Institute, focused on spiritual growth and personal transformation. The insights gathered in that context build the foundation for the tool development. Schwarz has written various books focused on church development and life transformation. His most popular books have been published in the NCD Discipleship Resources series with five titles so far (The 3 Colors of Leadership, The 3 Colors of Ministry, The 3 Colors of Your Spirituality, The 3 Colors of Community, The 3 Colors of Love). In the process of resource development, Schwarz strives to provide internationally and interdenominationally applicable masters, rather than binding himself to a specific culture or denomination (Schwarz 2005, page 156). Apart from the resources in printed form, NCD International works on various web-based tools that are made available through eTests. Schwarz spends a large part of his time in training, coaching, and empowering Christian leaders. Throughout the past few years, this ministry has brought him to NCD conferences in 44 countries. In 2014, he launched the NOW! process in the course of which he trained 100 leaders in 50 cities, whose task it was to pass on the training to at least two more leaders each, in the pursue to release a process of multiplication (Schwarz 2014). A characteristic feature of Schwarz’ theological paradigm that can be detected in all of his writings is the integration of biblical teaching and empirical observations. This positioning of theology has been strongly influenced by the writings of Dietrich Bonhoeffer, outlined in particular in his books Sanctorum Communio (Bonhoeffer 2009a) and Act and Being (Bonhoeffer 2009b). Schwarz sees no contradiction or tension in the relationship between science and faith, but attributes existing conflicts exclusively to what he labels "category confusion." In his books, Schwarz stresses that he doesn’t see NCD as a non-theological methodology nor as a merely pragmatic approach (Schwarz 2006b, pages 104-106). In NCD resource development, the empirical discoveries are evaluated theologically, i.e. in the light of biblical teaching. In this evaluation process, the empirical discoveries are approached heuristically; the biblical standards, as normative. While Schwarz original theological background has been Lutheran, it is characteristic of the NCD paradigm that the theological reflection is worked out in inter-denominational categories, deliberately not binding itself to the specific traditions or values of a given denomination. Because of that principle, his writings strive to exclude those topics where the different branches of Christianity are in disagreement, as long as these elements are non-essentials in terms of church development. Alternatively, he strives to demonstrate how the different foci, if combined, can potentially contribute to healthy balance (Schwarz 2005, pages 23-24). A special contribution to interdenominational theology has been what Schwarz calls the Trinitarian Compass, which is a unique feature of the NCD paradigm (Schwarz 2005, pages 45-71). The Trinitarian Compass uses the dynamics of the colors of light (RGB color model) as a way of illustrating the practical relevance of the Christian doctrine of the Trinity for the daily challenges of believers: In order to produce pure white light, the colors red, green, and blue must be displayed simultaneously. The color green is related to God’s revelation in creation; the color red, to God’s revelation in Jesus Christ; and the color blue, to God’s revelation in the Holy Spirit. Each of these three revelations corresponds to basic dimensions of life. In all of Schwarz’s books, the attempt to integrate these three dimensions—rather than writing on his own preferred theologies—can be detected. Schwarz’ theological paradigm is based on a bi-polar scheme, striving to integrate poles that are often seen as contradictions, particularly in cultures that are shaped by thinking in terms of binary opposition. After an initial attempt in his Theologie des Gemeindeaufbaus (Schwarz/Schwarz 1984) this approach was first introduced in English in the book Paradigm Shift in the Church (Schwarz 1999) by relating it to various aspects of ecclesiology and illustrating it with reference to the major conflicts throughout church history. The core of this paradigm has been inspired by the biblical representations of church in a unique combination of static (technical) and dynamic (organic) images, such as, "living stones," "growth of the temple," "the body of Christ may be built up," "God’s field and God’s building," etc. (Schwarz 2006b, pages 88-89) and has been deepened by studies into the polar structures in other fields, particularly in the theology of Dietrich Bonhoeffer (Bonhoeffer 2009b), the writings of Niels Bohr (Fischer 1987), and in various schools of Asian philosophy. A repeating topic in many of Schwarz’ writings is his attempt to learn from the insights of various cultures, rather than exporting a Western theology. The book, Color Your World with Natural Church Development, highlights how the specific strengths of the West, the East, and the South have enriched NCD strategy (Schwarz 2005 28-32). In particular, Schwarz strives to integrate insights of the Eastern Orthodox and the Western Church traditions, making the learnings of the East accessible to the West and vice versa (Schwarz 2012a, pages 23-26). The past few books of Christian A. Schwarz have been strongly shaped by his discovery of the New Testament concept of energies (Greek, enérgeia). This has been reflected in his books The 3 Colors of Community (Schwarz 2012a), The All By Itself Pathway (Schwarz 2015), and the latest edition of, The 3 Colors of Your Gifts (Schwarz 2017). Because of translations that strove to avoid the rendering of enérgeia as "energy," he claims that in the past the concept never had a chance of influencing Western Christianity, while in Eastern traditions it is generally known, but primarily limited to the liturgical and sacramental context. He has announced that the implementation of this biblical concept will be a focal point for the next few years. 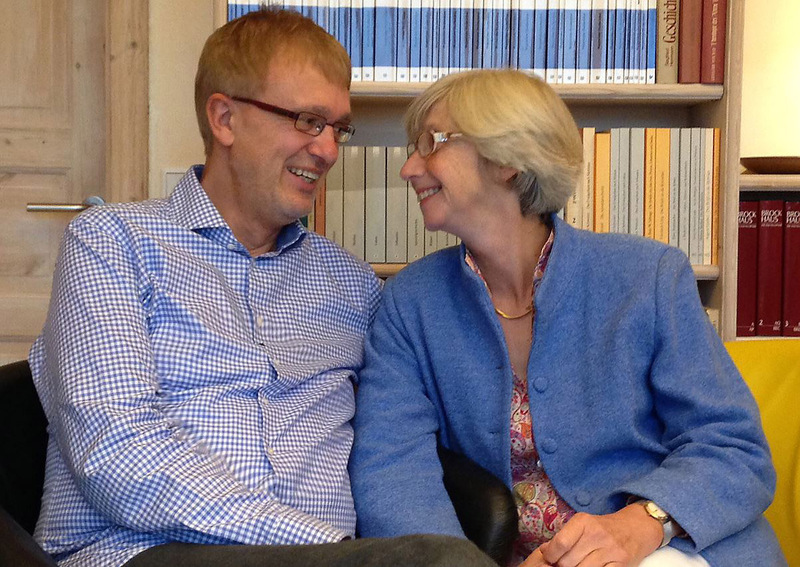 Since 1990, Schwarz is married to the psychotherapist Brigitte Berief-Schwarz. Together they have three adult children: Jonas Frederic Leonardo, Simon Dominic Amadeus, and Chiara Laetitia. In 1993 the family moved to the village of Emmelsbüll that is located in the far north of Germany, on the Danish border. ­ Natural Church Development: A Guide to Eight Essential Qualities of Healthy Churches (originally published in 1996, 7th updated and revised edition 2006). ChurchSmart, St. Charles. ISBN 978-1889638003. ­ Implementation Guide to Natural Church Development (together with Christoph Schalk), 1998 St. Charles: ChurchSmart. ISBN 978-1889638034. ­ Paradigm Shift in the Church: How Natural Church Development can transform theological thinking (1999). St. Charles: ChurchSmart. ISBN 978-1889638058. ­ The Threefold Art of Experiencing God: The Liberating Power of a Trinitarian Faith (1999). St. Charles: ChurchSmart. ISBN 978-1889638140. ­ The 3 Colors of Ministry: A trinitarian approach to identifying and developing your spiritual gifts (originally published 2001, 3rd edition 2006) St. Charles: ChurchSmart. ISBN 978-1889638164. In 2017, there will be a revised version of the book under the title, The 3 Colors of Your Gifts. ­ The 3 Colors of Love: The art of giving and receiving justice, truth, and grace (2004). St. Charles: ChurchSmart. ISBN 978-1889638454. ­ Color Your World with Natural Church Development: Experiencing all that God has designed you to be (originally published 2005, second edition 2006). St. Charles: ChurchSmart. ISBN 978-1889638478. ­ The 3 Colors of Your Spirituality: 9 Spiritual Styles—How do you most naturally connect with God? (2009). St. Charles: ChurchSmart. ISBN 978-1889638850. ­ The 3 Colors of Community: How the 7 Communal Qualities of Healthy Small Groups can help you overcome the 7 Deadly Sins (2012). St. Charles: ChurchSmart. ISBN 978-1889638980. ­ The 3 Colors of Leadership: How anyone can learn the art of empowering other people (2012). St. Charles: ChurchSmart. ISBN 978-1889638973. ­ NOW! Invest 8 hours of your time—and start a viral movement of transformation (2014), St. Charles: ChurchSmart, ISBN 978-1936812080. ­ The All By Itself Pathway: An Introduction to Natural Church Development (2015). St. Charles: ChurchSmart. ISBN 978-1936812110. This book has been published in various denominational applications.